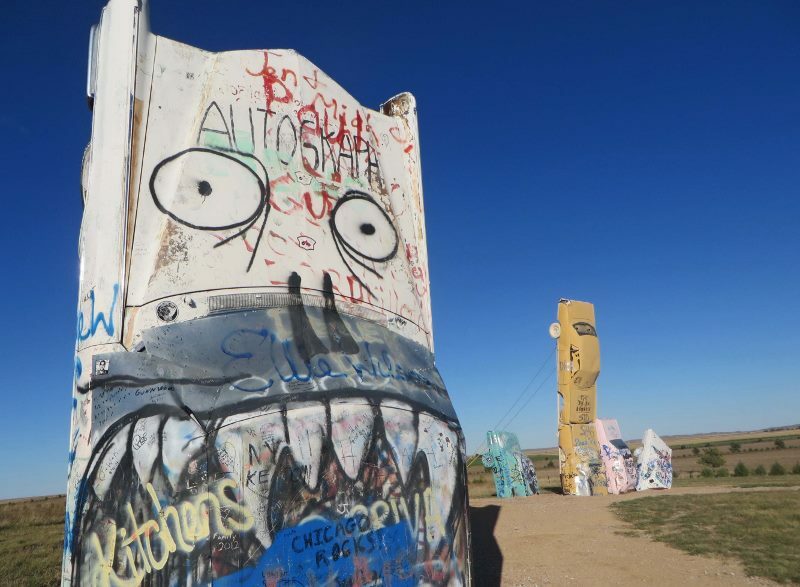 We’ve taken road trips all over the world but still love driving around America the most due to the wide variety of unusual roadside attractions in the United States. 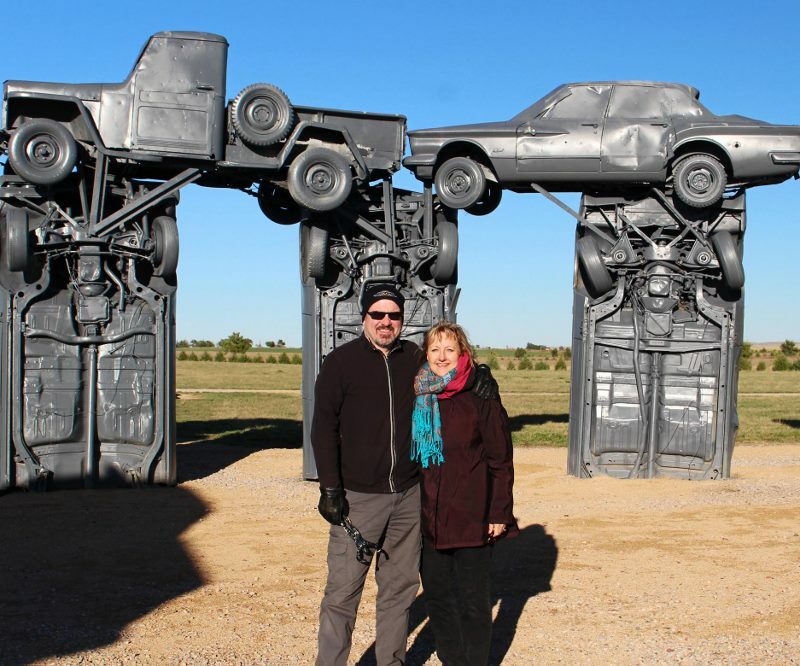 One of the more off-beat highlights of our autumn road trip across America was visiting Carhenge in Nebraska. Just north of downtown Alliance, it’s a faithful reproduction of the ancient site of Stonehenge in England. Carhenge was built in 1987 by Jim Reinders and his family as a memorial to his father and stands on his father’s farm. In keeping with the original Stonehenge’s reputed astronomical significance, it was dedicated during that year’s summer solstice. 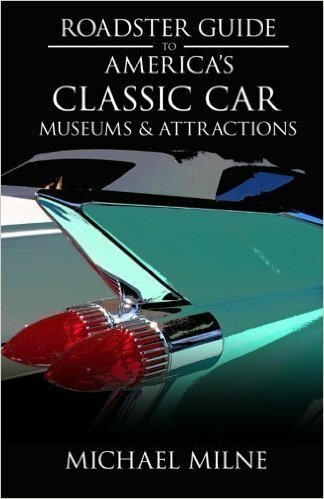 The cars are painted gray to resemble the original standing stones at Stonehenge. Surprisingly the wheels on the cars still spin. When the automotive sculpture was first erected the town elders of Alliance didn’t know what to make of it and wanted it torn down. But people started coming from all over the world to view the unique artwork so the locals now embrace it as a visitor attraction. Carhenge is definitely worth a trip. Considering the remote location in the far northwest corner of Nebraska I was surprised that there was a steady flow of people coming to see it on a blustery weekday in October. 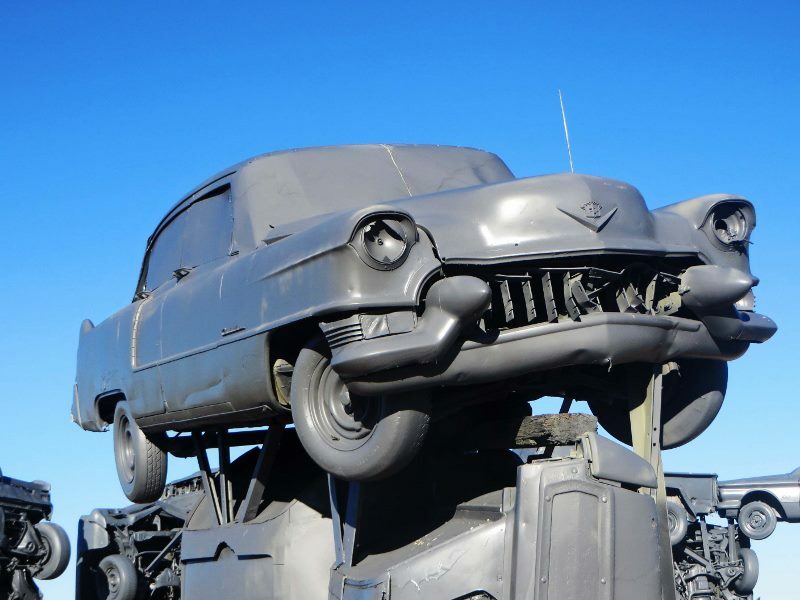 Right next to it is a “Car Art Reserve” with newer sculptures made out of cars and car parts. There’s even an “auto-graph” car people can write on. During the summer the appropriately named Pit Shop Gift Shop is open for souvenirs. For updated information go to: http://carhenge.com/. Admission is free. 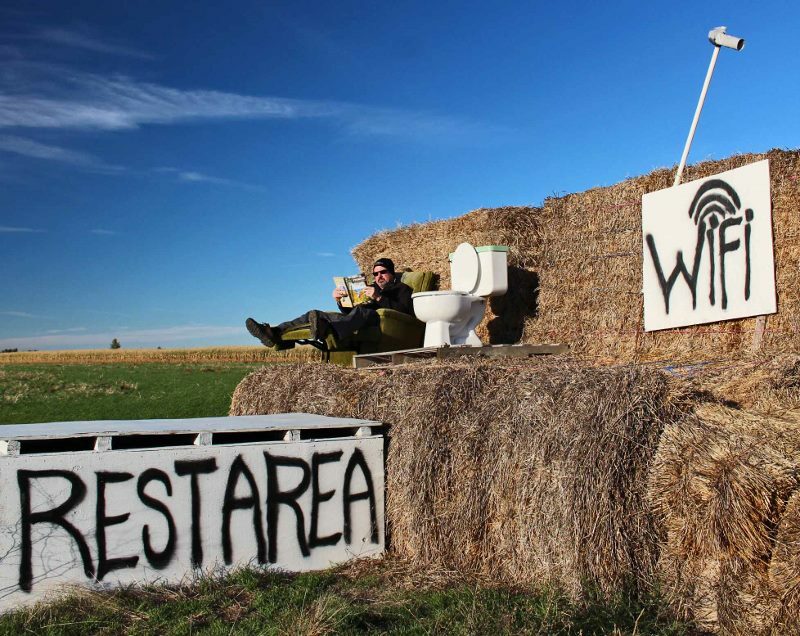 And be sure to stop a few miles north on Route 87 to see one of the more unusual rest stops we’ve come across. 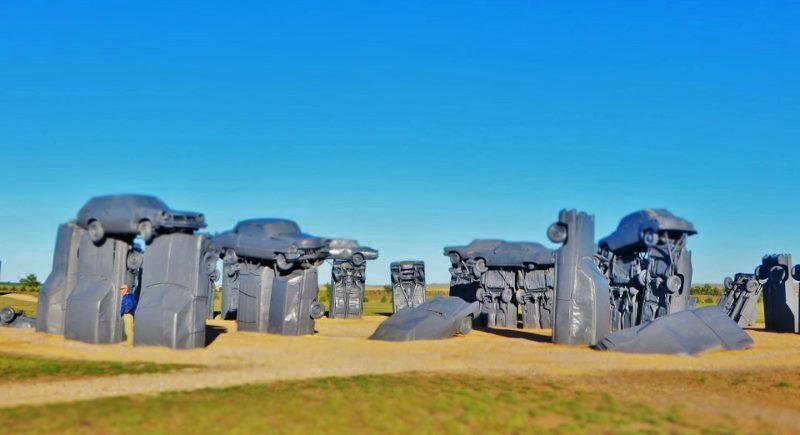 Visiting Carhenge in Nebraska is easy. It’s located on Highway 87, three miles north of downtown Alliance. 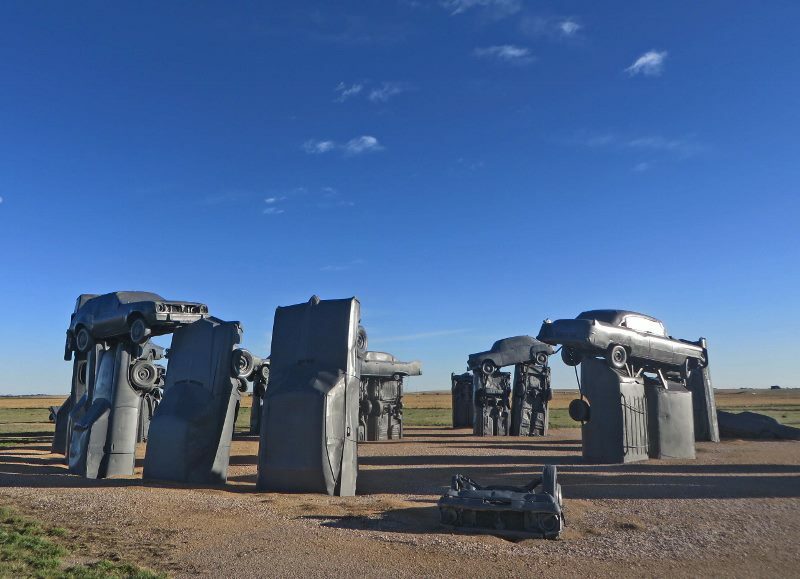 Alliance is in the northwest section of the state that is sometimes referred to as the “Outback of Nebraska.” If you’re hitting all the top sights on a cross-country road trip, Carhenge is only a 2 1/2 hour drive south of Mount Rushmore. Which is really just a drop in the bucket for those of you who crave long drives.